As your prospective consumers change their buying behaviors and spend more time online, how can you turn local online searches into phone calls? Pay-per-click search engine advertising, or sponsored search, is an effective part of a complete internet marketing plan for small and medium size businesses.WormWood recommends an excellent solution to help measure results and manage your campaign. on keyword phrases relevant to their target market. Websites that utilize PPC ads will display an advertisement when a keyword query matches an advertiser’s keyword list, or when a content site displays relevant content. Cost per click (CPC) varies depending on the search engine and the level of competition for a particular keyword. We help our customers with the implementation, monitoring and execution of a successful program on the search engines. 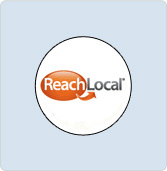 WormWood recommends an excellent solution to help measure results and manage your campaign, through ReachLocal. ReachLocal maximizes the value of each advertising dollar, with patent-pending technology which intelligently selects media, then tracks, optimizes and reports results for your local PPC advertising campaign. With local offices here in Seattle, ReachLocal offers the best solution for PPC and WormWood SEO will help coordinate your internet marketing strategy with your local ReachLocal consultant.